What woman doesn't want to be a warrior princess, a gun toting cowgirl, or a modern fashionista? Hold up your hands and say "I do, I do!!" 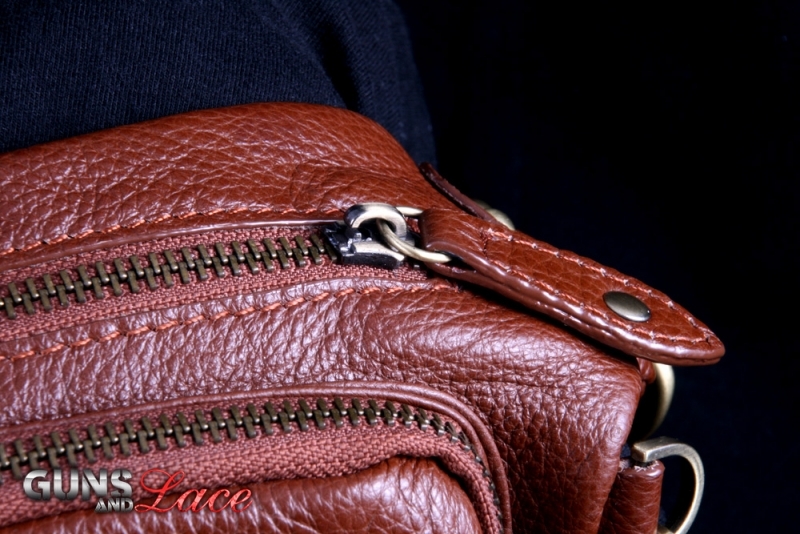 I do not care how practical we women are, when it comes to our purse, especially a carry bag, we want to look good! There in lies the problem! 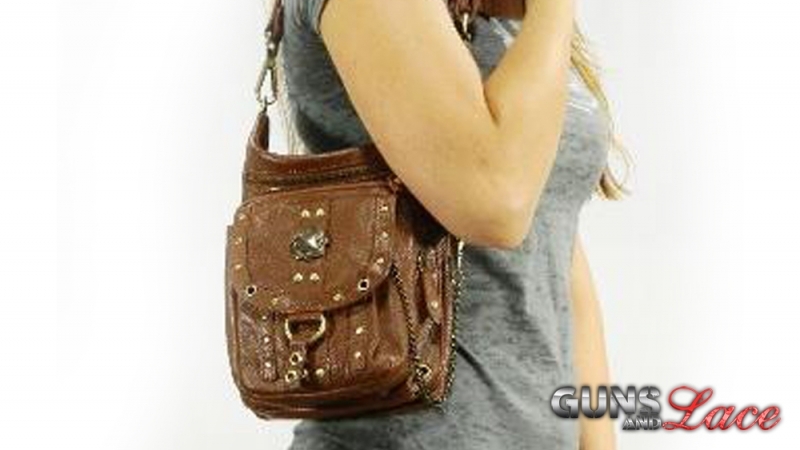 Melding the world of purses and fashion with the practical function required for carrying a firearm sometimes is as challenging as going to a blacksmith's shop to order a cocktail dress. Not so with the Warrior Pack designed by the free spirited women designers over at Warrior Creek. 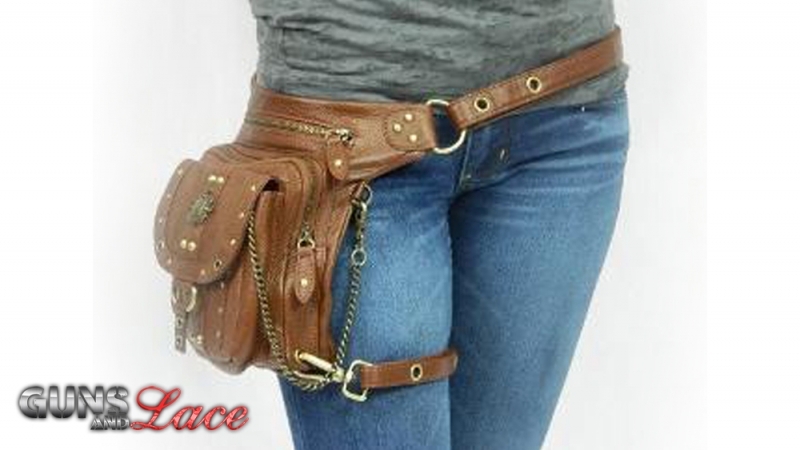 The leather Warrior Pack is a purse, an over the shoulder bag, a thigh pack, a backpack and more. In all, there are eight different ways of wearing it to match your style and attitude. 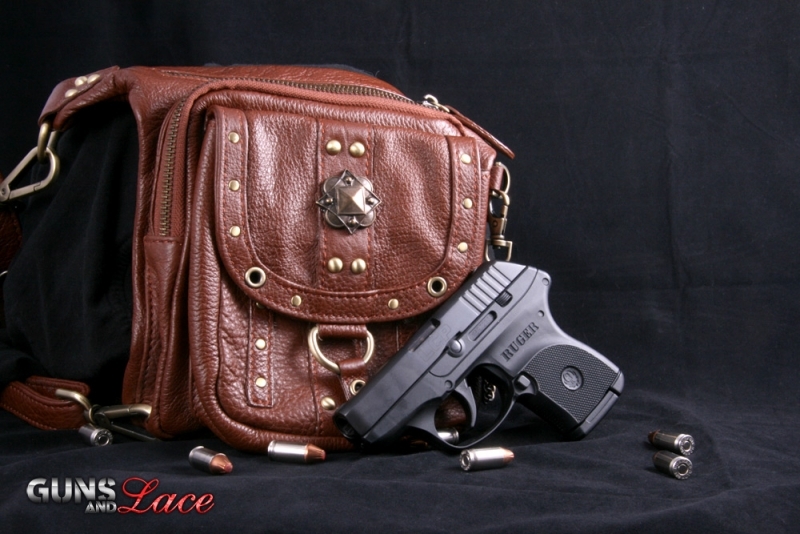 The best part of this bag for me is that the zippered pocket of this bag is perfect for carrying a small self defense carry piece such as my Ruger LCP or my Ruger LC9. The Warrior Pack is made from a soft supple leather that feels like a million bucks against your skin.The construction is high quality, double stitched leather, with metal zippers and antique brass grommets. 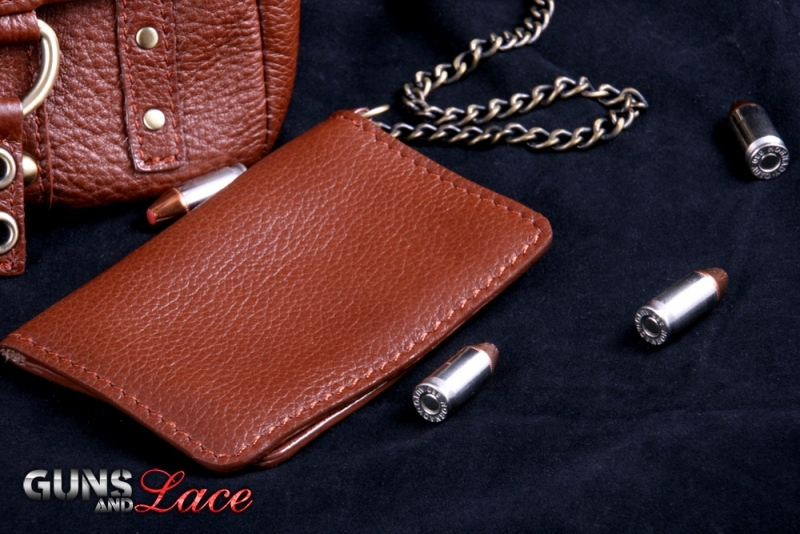 I love the watch chain attached to the small wallet inside for added security for my license and credit card. 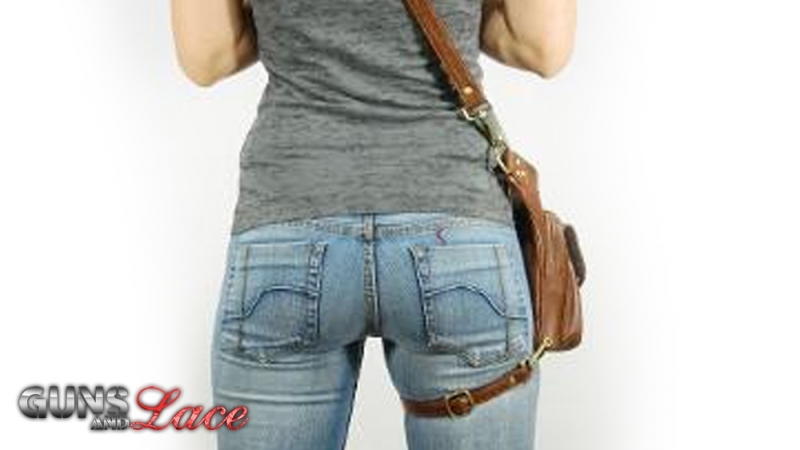 My favorite ways to carry this bag are as a backpack or on my thigh like a western holster rig. My only disappointment is that the bag doesn't come with a sewn in holster in the zippered pouch for my carry piece and space mag. Honestly though, I almost always end up using my own neoprene pocket holster that is designed to fit my Ruger inside any carry purse I use anyway. For safety purposes I always recommend a holster that covers the trigger when carrying in any manner. Leah Feliciano's philosophy at Warrior Creek Inc. is that there is a little bit of warrior in every woman. Around here we say, there is a little bit of Guns and Lace girl in every woman. No wonder I love this bag! The style and fashion of this purse turns heads every time I wear it. I get complimented constantly on it. Like Merlin on his best day, the alchemy of this bag is a magical combination of versatility, comfort, style and functionality, made just for the fashion minded girl that carries everyday.